Everyday is the same to me, it does not matter if it is the 24th December or the 12th July. I have to walk my dog in the morning then again in the afternoon. If I don`t he will not give me any peace at night- time. Yesterday morning I walked my dog up Donegal street a short time before the parade got underway. I met some friends who walk in the Christian witness march which goes just before the main parade. While I was talking to a friend I suddenly noticed some ladies from the Pink Presbyterian Church were just up the street so I had to go and speak to them. The first lady I spoke to was David Pinnochio Lundy McIveen. He used to be one of Pope Lundy`s favourite lap-dogs. I brought up the subject of the loony book he gave to students for study when I was at the Whitefield Bible College. 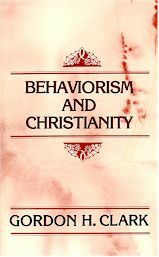 It was called “BEHAVIOURISM AND CHRISTIANITY” and it was such a load of rubbish. At the time back in 1990 when I told him it was nonsense he agreed it was a load of nonsense and the students need not read it. Yesterday he had the blatant cheek to claim it was a good book!!! Such a liar, I think David Pinnichio Lundy McIlveen missed his true calling , he would have been more at home in the Jesuit Georgetown University rather than the Pink Presbyterian Chruch. Then again maybe there is not really that much of a difference? I think he was trying to imply he did not back PopeLundy going into government with the IRA, his reaction seemed very strange, I think I will maybe be paying him a visit sometime soon. If anyone does not believe this they can ask Dynes Uprichard, he was present in Donegal street. As a matter of fact, Dynes is on Facebook! Must send him this article. After leaving the Pinkies women`s group I run into a Papal guard who was behaving like “Officer Billy” out of Give My Head Peace. He would not let me proceed up Donegal street so I had to cut through the back streets up to Carrick Hill. I passed a group from Carrick Hill and they did not seem to be out to cause mischief or trouble, they just looked they were people who were out to watch the bands. A couple of them petted my dog, they were very pleasant and decent. Then a little further up the street at the garage a young man was very helpful as he went into the garage to get me a tin of Coke, naturally I cannot take my dog into a shop where there is food. 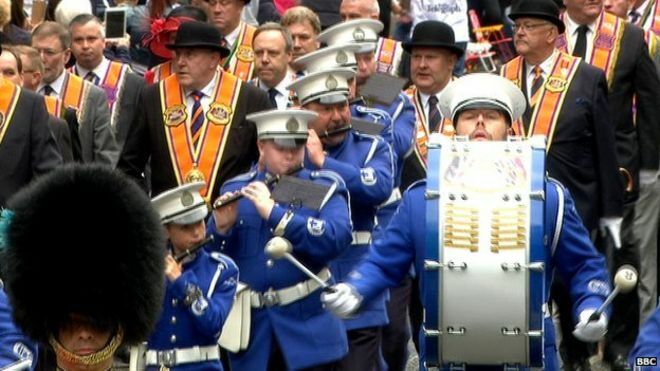 I did not get the feeling there was going to be any trouble in Donegal street, it all seemed very relaxed when I left. All except for David Pinnochio Lundy McIlveen that is. Numbers 32:23 and be sure your sin will find you out.